Our Cinetoko event was a great success! We want to thank Korzo for the great venue, the speakers for their creative minds and our lovely host of the evening. View the Dutch Cinema in his full splendor! Warning: strong language. Yay! Our recently-made explainer animation for Océ-Canon got mentioned on the great Motion Graphics Collective. Thanks! Dank voor de mooie samenwerking, mensen bij MiLLK ! Trailer voor de Sonneveld musical in Theater DeLaMar, geheel in nostalgische sferen. Motoko's project "Tax Free Tour" for VPRO Tegenlicht features on aescripts.com; the resource for all after effects geeks. Mr Motoko's mini-me arrived today... thanks to Iskander! Mr. Motoko laat weer van zich horen met een kersverse showreel. Ja! De laatste hand is gelegd aan de Vodafone Mobiles for Good Challenge animaties. As some of you know, Motoko is located at the DCR, which was a former part of the G.E.B. 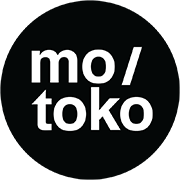 Producer / account manager bij Motoko, film and motion design gezocht! Geïnteresseerd? Stuur je cv, E-mail, bel of fax ons. Motoko created this promo for IASO, a cloud backup service. Vanavond wordt DWDD University: Alexander 1.0 herhaald om 21:25 op Ned3. Alexander Klöpping geeft in 3 afleveringen college over Silicon Valley. Kung Fury: nice Kickstarter movie project that breaths 80s B-movies, VHS, 8 bit, DeLorean's and bad acting. Ons doel is om ervaringen te delen van filmmakers door speciale gasten uit te nodigen om te praten over hun werk.